Wine Club Members, your June wines are here! June is here and we have plenty of dry wines to go with our wonderful “dry heat”! 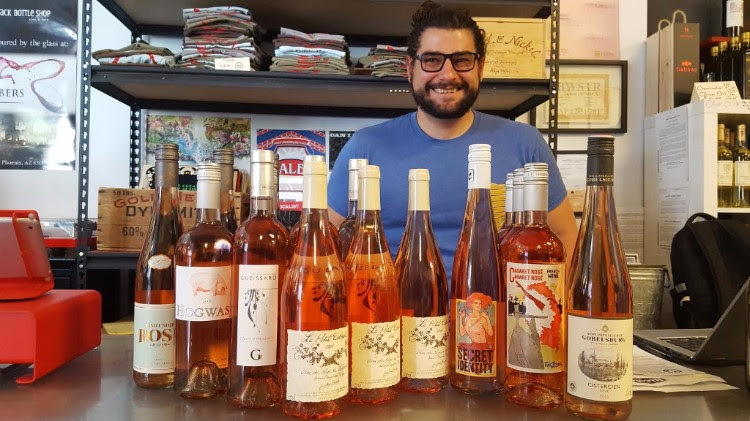 Hopefully everyone enjoyed National Rosé Day on June 10th. We certainly did, and so did one particular club member who hosted a Rosé tasting to honor the day. Check out his haul for the event! Quick riddle for you: What has bubbles that are contained by a cage? Sparkling wine! OK, the cage is technically called a muselet. Which, by the way, always requires six twists to open. Great party trivia.And speaking of riddles, lets talk about “riddling,” a process that most people recognize via pictures of sparkling wine bottles resting at a 45-degree angle within a wood pallet. The reason for this occurrence has an interesting history. The riddling of sparkling wine was initially developed over the want to eliminate the cloudiness of unfiltered Champagne. And a method of turning a bottle upside down to collect the sediment in the neck of the bottle was accidentally developed. The process is a slow one and consists of angling the bottle at 45 degrees and frequently giving it a quarter turn to move the sediment closer to the neck of the bottle. Once the bottles have been turned for the desired amount of time, the winemaker freezes the neck of each bottle to disgorge the sediment. The winemaker then backfills the bottle and settles the sweetness level before corking and caging the cork. And voilà, we are left with wonderful sparkling wine!So enjoy some bubbles to beat the heat. Or pair with some cheese. Or just enjoy over a laugh with friends. Since we were talking about sparkling wine, we thought we would go ahead and find some bubbles to kick off summer. 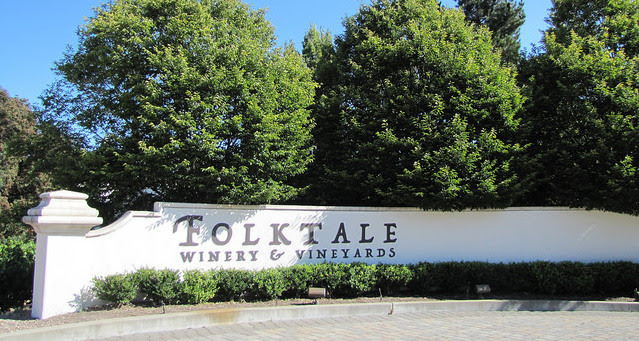 Folktale is a great blend of Chardonnay, Sauvignon Blanc, and Gewurztraminer. It is not a traditional Method Champenoise as the winemaker prefers to control the quality of the bubbles through carbonic maceration. Light and refreshing with added acidic balance from the Gewurztraminer, and only 500 cases made! OK, so it’s hot out and we don’t want to drink “big” or “heavy” wines. However, we have this A/C thing that we sit in to cool off. So we went ahead and grabbed 30 cases of an only 376 cases produced killer Syrah. Ledge Vineyards comes out of Paso Robles but has a distinct uniqueness that puts this wine in a league of its own. It is a blend of 78% Syrah, 7% Grenache, 8% Mourvedre, and 7% Zinfandel. The wine was fermented using stainless steel and concrete vats before its transfer to neutral French Oak barrels for almost 20 months. The fruit comes from the west side of Paso Robles, an area that showcases softer notes with more complexity… AKA Good Stuff. Enjoy these selections and don’t wait to ask for more. 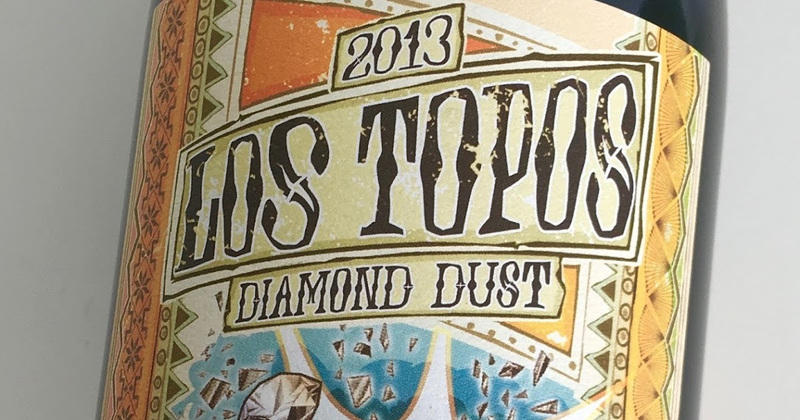 We bought the last of the Ledge Los Topos Diamond Dust Syrah! Always enjoy your wine with cheese and your cheese with wine! Sparkling wine (Champagne, Cava, Prosecco, Skekt) pairs great with most food, especially cheese! Check out Hidden Track Café for some new cheese arrivals. We’ll soon receive cheese from Vintage Cheese Company out of Traver, California. It’s possible that some smoked Gouda is on its way, too! This is a wonderful, award winning creamery specializing in traditional European style cheese. HTBS Named Best Wine Shop! Can't find something you're looking for? Need us to curate your wine fridge? Shoot us an email or give us a call!